January is full of historical anniversaries, especially those in which society commemorates various civil rights leaders and the victims of past atrocities. Martin Luther King Day is celebrated on the third Monday of January and is a federal holiday, while International Holocaust Remembrance Day is on the 27th. 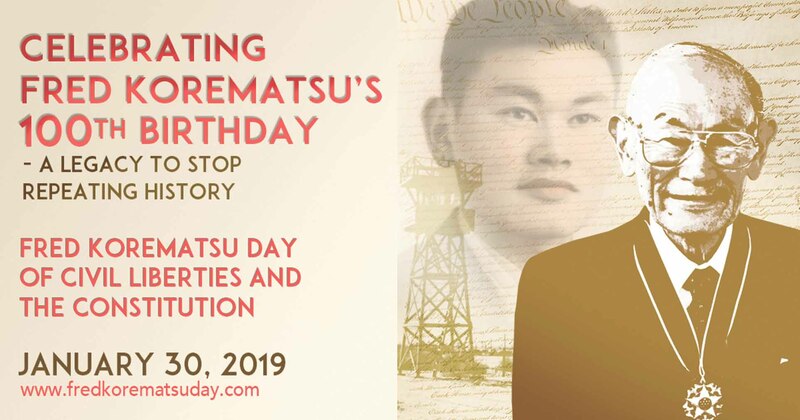 More recently, Korematsu Day has begun to gain recognition on the 30th. As we honor Dr. King, an iconic figure of the civil rights movement, let’s also remember Fred T. Korematsu and the stand he took against Executive Order 9066, the forced relocation and internment of approximately 120,000 Japanese Americans. On Dec. 7, 1941, the U.S. was attacked by the military of the Japanese Empire, marking the official American entry into WWII. It is within this context that Franklin D. Roosevelt authorized the relocation and internment of approximately 120,000 Japanese Americans. Official justifications centered around the potential vulnerability of the West Coast to an invasion by the Japanese Empire, which had seen a string of consecutive victories against the allied powers in the Pacific War. In the midst of this tumultuous time for the Japanese-American community, 23-year-old Fred T. Korematsu, a Nisei or Japanese decedent born in the U.S., courageously questioned the constitutionality of Executive Order 9066. Having already encountered racism while at Oakland High and avoided by recruitment officials due to his Japanese ethnicity, the American entry into WWII only exacerbated the discrimination that Korematsu was subject to. In addition to being rejected by draft officials when he signed up for the military, his resistance to the relocation ordered by Executive Order 9066 got him arrested by the authorities and shunned by many in his own community for his defying of the law. Regardless of these circumstances, Korematsu challenged the federal government on the grounds of the relocation order’s blatant unconstitutionality. His appeals eventually made it to the Supreme Court in Korematsu v. United States in 1944, which ultimately ruled against him in a 6-3 decision. Undeterred, he went on an illustrious career of civil rights activism after his release and won the Congressional Medal of Freedom in 1998. While he was vindicated in 1984 upon the uncovering of evidence surrounding governmental cover-up that deemed Japanese Americans not being a threat to national security, this deeply flawed Supreme Court ruling was only revoked in June 2018. Korematsu’s daring dissent against the government, especially during a time of total war, is perhaps the defining characteristic of American style, representative democracy and constitutional rights. At the same time that such a challenge serves as a testament to our country’s grounded rule of law, the controversial nature of Executive Order 9066 remains among the many unsavory actions undertaken by the government. It was under this democracy, unimaginable in many other countries, the U.S. government took steps to recognize the injustice that had been done to Japanese Americans. Former President Gerald Ford issued a formal revocation of Executive Order 9066 in 1976. In 1980, Former President Jimmy Carter ordered an investigation into the reasons behind the issue of the internment order, resulting in his vindication. Former President Ronald Reagan signed into effect the Civil Liberties Act of 1988, which provided monetary compensation of $20,000 to each internment survivor to that point. Last week, I had the honor to interview a Nisei internee, Eizo Nishiura, a resident of Great Neck from 1971 to 2003, who spent nearly three years at the Heart Mountain internment camp with his family. When the war started, things were moving fast for 7-year-old Nishiura. He had to relocate from school in San Francisco to San Jose, to a holding center at the Santa Anita race track and then to Heart Mountain. There, his entire family of six lived in single 20-foot-by 20-foot apartment, which was uninsulated and heated by a single pot-bellied coal stove in a hastily constructed barracks that were barely better than tar paper shacks. 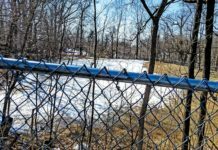 He remembered the barbed wire fencing surrounding the camp and the guard tower. He witnessed many young men volunteering for the military to display their loyalty to the U.S., alongside those who resisted conscription. When the war was over, his family moved back to California with no property to explicitly return to, as they were compelled by circumstances to sell their personal items before they were relocated. The internment experience left Nishiura with an eating disorder for many years and robbed his father of his vitality. It was only when he was in college that he realized implications of his time in the internment camps, which led him to engage in civil rights activism as a member of Congress on Racial Equality (CORE) and fought for his belief that the only way our civil rights can be guaranteed is to hold the government accountable for its actions. Although it is important to learn the context in which Executive Order 9066 was implemented, it is necessary to recognize the blatant unconstitutionality of forcibly relocating people based on their ethnic origins. 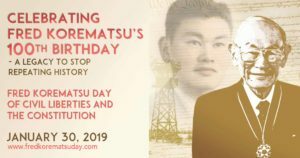 To this end, California Governor Arnold Schwarzenegger signed a bill to recognize the Day of Civil Liberties and the Constitution in 2010, which was followed by 13 other states in the continuing bid to eventually elevate Korematsu Day to the status of a national holiday. By recognizing the importance of Fred T. Korematsu’s stand against the relocation order in 1944, his subsequent involvement with the ACLU and further efforts as a civil rights activist, our society can better prevent the recurrence of similar future injustice. Daniel Lu attends South High. Daniel K. Lu, a student at Great Neck South High, is an aspiring historian.